In recent years, safety features and security systems have been paving the way for an all-new safety standard. 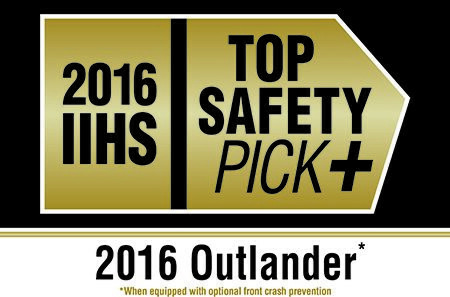 Mitsubishi has included a range of standard and available safety features on their popular 2016 Mitsubishi Outlander, and all of those features helped the 2016 Outlander to become one of the IIHS’s Top Safety Picks in the small SUV class. These are features that give the driver more control over the car. Active Stability Control (ASC) – A monitoring system for the traction and grip of each tire; if a wheel starts to slip, an anti-lock brake system engages and applies the brakes to the wheels with the most traction. Hill-start Assist – A system that assists in the prevention of a car rolling back when the driver removes their foot from the brake and before they apply pressure to the gas pedal. Traction Control Logic (TLC) – Operating similarly to the ASC system, TLC ensures the stability of the vehicle by keeping wheelspin appropriate amongst all tires. For instance, if a vehicle has RWD, and one of the rear wheels are spinning without traction and the other rear wheel is turning with traction, the brakes will be applied to the freely spinning wheel and torque will be applied to the wheel with traction to avoid tire slippage. Anti-Lock Braking System (ABS) – In conjunction with ASC and TLC, the ABS helps to maintain tractive contact between the wheels and the road during braking to prevent wheel-lock and skidding. These are features that come as a part of the car build, or systems that don’t rely on driver input. RISE Body Construction – Many Mitsubishi cars are now built with Reinforced Impact Safety Evolution technology designed to enhance passenger protection in the event of a collision with energy-absorption built into the front, rear, and sides. Front Pedestrian Impact Crumple Zones – In the event that a pedestrian is struck, crumple zones are now being implemented into the front of cars, especially the bumper and lip of the car, to reduce injury, especially to the thighs, as that is where most average adult pedestrians would be hit in such an event. Tire Pressure Monitoring System – As the name states, this system displays tire pressure to the driver, and warns them if a tire is underinflated or may create unsafe driving conditions. These systems have been implemented to increase driver and passenger safety. Advanced Airbag System – Advanced airbag systems have been designed to deploy airbags in the front, side, and in some instances the rear of the car, but the airbag system also includes airbags under the steering wheel for the driver’s knee. The Outlander’s airbag system also includes SRS dual-stage front airbags. These airbags measure the intensity of impact in a car accident and directly correlate with the force of airbag deployment. Seat Belt and Restraints – Seat belts and restraint systems have been redesigned to increase passenger safety. 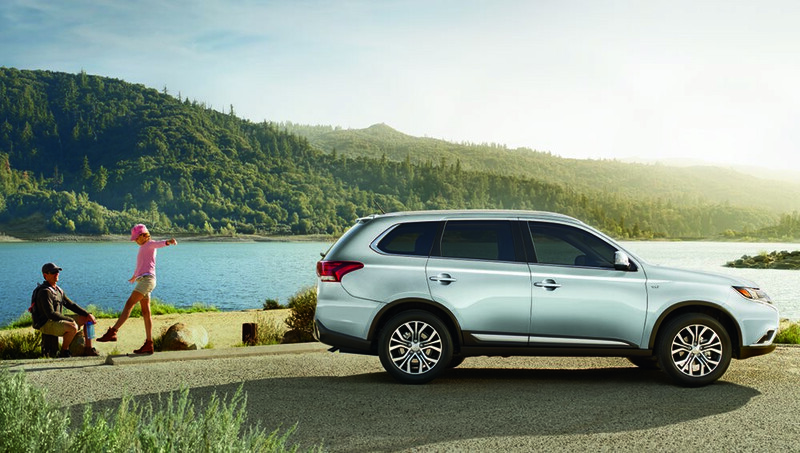 The Outlander features three-point seatbelts and head restraints, height adjustable front shoulder belts with pretensioner, LATCH child-seat restraint system, and child safety rear door locks. Security and safety go hand-in-hand, and in all Outlander models, an anti-theft security alarm system, and an anti-theft engine immobilizer have been installed. The former is a safety feature that has been around for decades, but anti-theft engine immobilization is a system that stops the car’s engine from starting. This system has been designed to work in variety of ways, from the engine not starting if the wrong key is present to becoming immobile even in the event of hot wiring. These features are not standard with any Outlander model, but are optional add-ons for SEL and GT S series. Adaptive Cruise Control – Although cruise control has been in cars for years, adaptive cruise control takes the pressure off of the driver. In areas where speed limits may vary, or drastically changes from the highway to state roads, the adaptive cruise control system measures the speed and advancement of a car in front of it. If the car is slowing quickly, the system applies brake pressure to change the speed and slow the automobile down.? Forward Collision Mitigation – Similar to adaptive cruise control, this system applies brake pressure of a car if/when approaching another car at high speeds. In some cases, the system will also alert the driver prior to taking over the brakes; this gives the driver control over the car and the braking system to avoid impact, but in case of panic, the system will attempt to slow down the car to decrease impact intensity or the accident overall. Lane Departure Warning – Even with side mirrors and checking our blind spot, drivers on the road are not always aware or courteous of their fellow drivers they share the asphalt with. Lane Departure Warning systems are similar to blind spot detection systems, but instead of alerting the driver if another vehicle is approaching from the side prior to lane departure, the system stops halfway and alerts the driver if the vehicle begins to move out of its lane (excluding when a turn signal for that direction is active). These are all of the standard and optional safety features present in the 2016 Mitsubishi Outlander, and most Mitsubishi cars today.